We will begin this chapter by quickly reviewing strategies that can be used for challenging students, regardless of their diagnosis. Remember not only that you should determine which strategies work for your particular students but also that many of these strategies work well with all students. We have categorized these into relationship/climate strategies, academic strategies, and disciplinary strategies. Tauber (1999) states that when you give challenging students responsibility and a leadership role, you can help them turn their negative self-concept into one that is positive and their obstructive actions into helpful ones. Of course, there is a danger that this technique could backfire, so do this gradually, moving from small, private responsibilities toward larger and more visible ones. You could start off by having a student take messages to the office for you. If this succeeds, you could give the student more visible responsibilities, such as assigning him or her to tutor a less capable student. The challenging student is more difficult to bond with and often has few adult relationships. As a teacher, it is important that you go out of your way to show your students that you like and value them. Simply going out of your way to greet your challenging students each morning or asking them questions about sports or hobbies they are interested in is a way to display that interest, which in turn fosters positive relationships. Don't take a student's negative actions personally (Tauber, 1999). Anything he does or says does not have to do with you. It has to do with him and the particular disorder he has. Holding grudges only exacerbates the situation. When teachers go to the faculty room and spend their time complaining about difficult students, they are contributing to the negative cycle of interactions between staff members and students. This is counterproductive to what needs to happen to improve relations with these students. Using this time to problem solve or hear from other staff members about techniques that work may be beneficial, but complaining and spreading bad feelings is not a good idea. This strategy, mentioned earlier as a technique to use during all parent conferences, is especially critical with conferences with parents of the most challenging students. These parents are so programmed to hearing negative things about their child that they often come to meetings ready to fight. You can totally disarm them at the beginning of the conference by sincerely sharing something that you like about the student or something positive about their child they may not be aware of. Validating a student's feelings doesn't mean that you agree with her actions, but it helps her to know that her feelings are real, honest, and normal. Sometimes all a student wants is to know that you understand how she feels. Even when a student does something that is inappropriate and results in a consequence, remember to tell him that you like him, value him, and know that he'll make a better choice next time (Tauber, 1999). Slowly paced instruction and unplanned time periods are problems waiting to happen for all students, but they are especially deadly for challenging students. 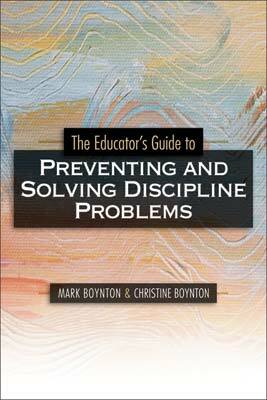 Effective, appropriately fast-paced instruction will prevent many problems from occurring. Having high expectations of all students, even the students you struggle to have high expectations for, is very powerful. Research has demonstrated the power that high expectations have for all students (Kerman et al., 1980). The challenging student is very adept at bargaining and manipulation. Success in bargaining only increases the chance that she'll repeat the offense and then try to bargain away the consequence. It is important to be firm in your implementation of consequences so that she learns she can't manipulate the situation and get away with her actions. Focusing on the action and not on the student is important. There is an important distinction to be made between letting a student know that fighting is inappropriate and not allowed and telling him that he is a bad person for fighting. Challenging students have a high probability of exploding, so it is essential to have a plan in place regarding what to do to get help from an emergency response team when it is needed. There will be times when you have had your fill of a challenging student and need a break. When that happens, it works wonders to have an arrangement with a buddy teacher to whom you can send the student for a brief time out (Tauber, 1999). This will give you time to get past your frustration point and be able to once again deal with the student professionally. Even more so than with most students, you need to have immediate and meaningful consequences to implement with difficult students when they get to the point that the typical relationship, parameter, and monitoring strategies are not enough. These consequences have been covered in Chapters 4 and 7. Sometimes you can get so frustrated and fed up with a difficult student that you want to hand down a severe consequence for even a minor offense. Remember to save the most stringent consequences for the most serious offenses. It may be tempting to put your hands on a difficult student or to try to restrain her during an outburst, but this can have serious consequences for you and for the student. The only time you should intervene physically is if the student may hurt herself or someone else, and even then you should have gone through training on how to do so safely. You should be private in your corrections of your students rather than publicly reprimand them. According to Tauber (1999), public reprimands increase the chance of escalating problems and take away the students' dignity. Challenging students are experts at diverting a responsibility or a consequence by making promises. It is vital to wait until they have actually completed a task or followed through on an assignment before rewarding them for their behavior (Tauber, 1999). Allow students to save face whenever possible, as this allows them to keep their dignity and also helps prevent issues from becoming worse. Using other strategies already mentioned, such as giving choices and correcting privately, are ways that you can allow students to save face (Tauber, 1999). Copyright © 2005 by Association for Supervision and Curriculum Development. All rights reserved. No part of this publication—including the drawings, graphs, illustrations, or chapters, except for brief quotations in critical reviews or articles—may be reproduced or transmitted in any form or by any means, electronic or mechanical, including photocopy, recording, or any information storage and retrieval system, without permission from ASCD.